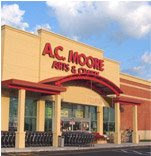 I love AC Moore 50% coupons. Click here to print off 3 50% off coupons good for January 22, 23 & 24th! Don’t forget that the local craft stores will accept each others coupons! If you live closer to a Michaels or a Joann’s than an AC Moore, you should be able to use these coupons there! Is Google Safe Browsing Really Safe?